Explore Hamburg’s vibrant nightlife on this private 2-hour St Pauli walking tour. Discover live music venues, chic brasseries and stylish restaurants alongside hidden gems known only to the city’s locals. 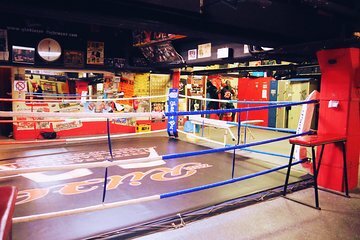 See top attractions in St Pauli such as the Zur Ritze boxing club. Explore the Grosse Freiheit and Herbertstrasse in St Pauli’s infamous red-light district with your private guide, and learn how the Reeperbahn picked up its questionable reputation. Upgrade your tour to include a glass of sparkling wine, beer or liquor in a local bar.